eBook: Save time, save money - digitise your business agreements. More and more small businesses are realising the benefits of using technology, such as eSignature, to digitally complete the agreement process. As a result, they’re enjoying a boost in productivity, a reduction in costs and improved customer experience. Imagine being able to easily generate a business agreement, with numerous contributors collaborating in real-time. Technology takes the hassle out of chasing signatures, allowing you to monitor the status of each participant in the agreement process. How would you like to easily and automatically collect payment or update contact details once the agreement is signed? Seamlessly manage all of your signed agreements by storing them in one central place, making it easy to retrieve them down the track. 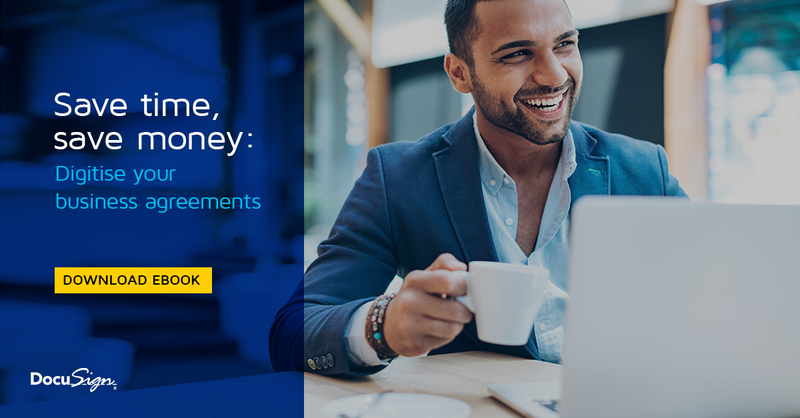 Download this eBook to discover how digitising your business agreements can help you save time and money.